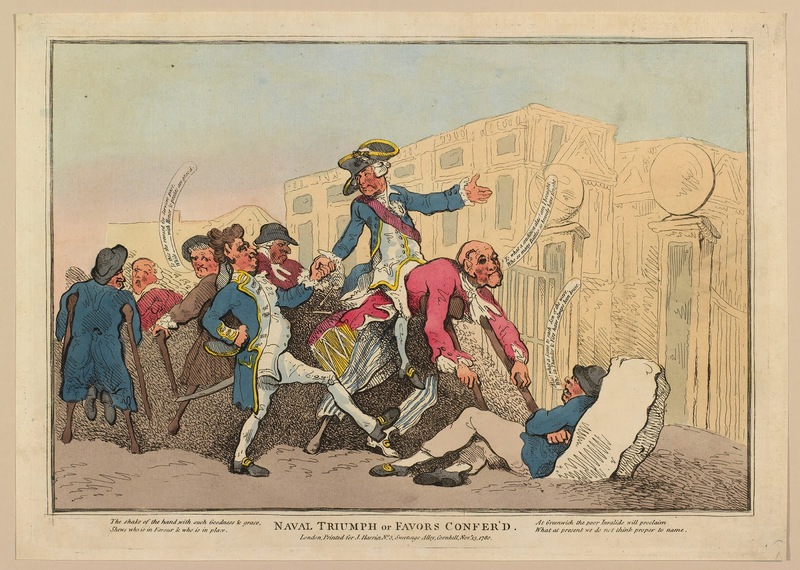 Naval Triumph or Favors Confer'd, J. Harris, 1780, Royal Collection Trust. Shews who is in Favour & who is in place. What at present we do not think proper to name. This sad ditty accompanies this cartoon of officers of the Admiralty literally riding the backs of invalid veterans to honors and graces. 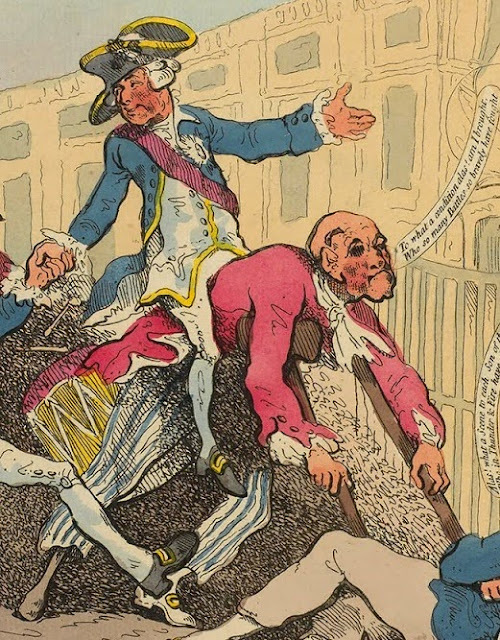 The well dressed officer with the cocked hat rides astride a peg legged veteran with blue stripped trousers. His jacket is red, which we've seen a few times before, though it is not nearly so common as the blue. It is a lined jacket with slash cuffs and cloth covered buttons. His neckcloth is white and his shoe is fitted with a rectangular yellow metal buckle. Beside his crutch is another invalid sailor, this one wearing a black round and decrying the sight: "Alas! what a Scene to each Son of the wave, Who in Thunder & Fire have always been brave." His jacket is blue, trousers are off white, and his stockings the common white.